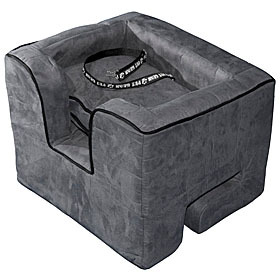 Pet Gear's Medium Car Booster offers your favorite little one the ability to stay comfortable and secure without impairing your driving abilities. 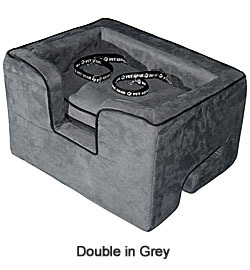 This sturdy yet cozy booster seat utilizes your car's seat belt system to secure the seat in place. Attached tether helps keep your animal in place. Removable cover and pillow for easy machine washing.